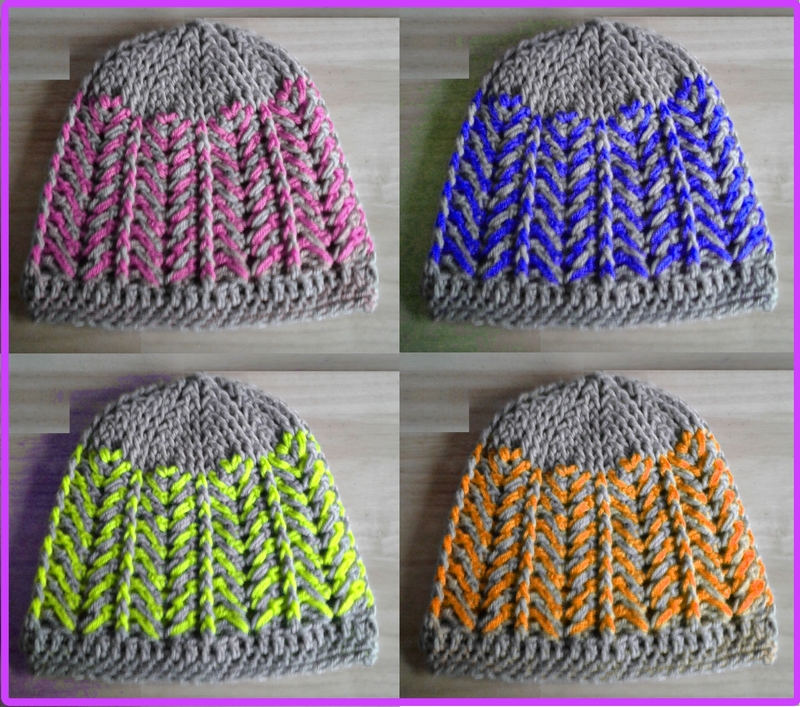 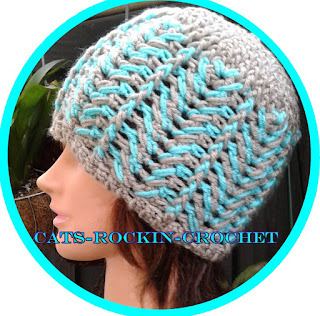 Introduction: The crochet stitch pattern consists of the Herringbone stitch and the front post double crochet stitch. 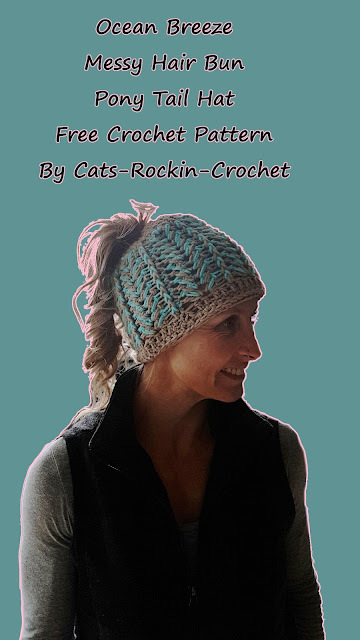 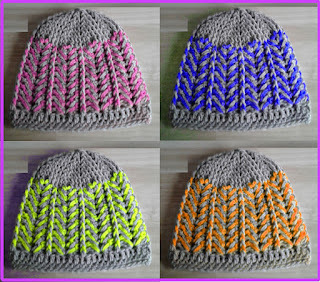 The front post double crochet stitch separates each Herringbone around the hat which in return gives a lovely textured pattern with little fuss. You also have the option to leave an opening for a messy bun or pony tail. 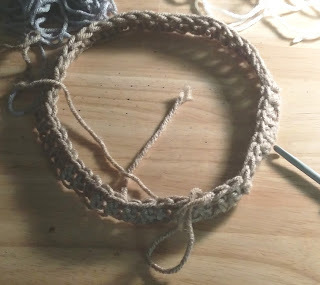 The hat begins being made at the the brim and finishes at the crown. 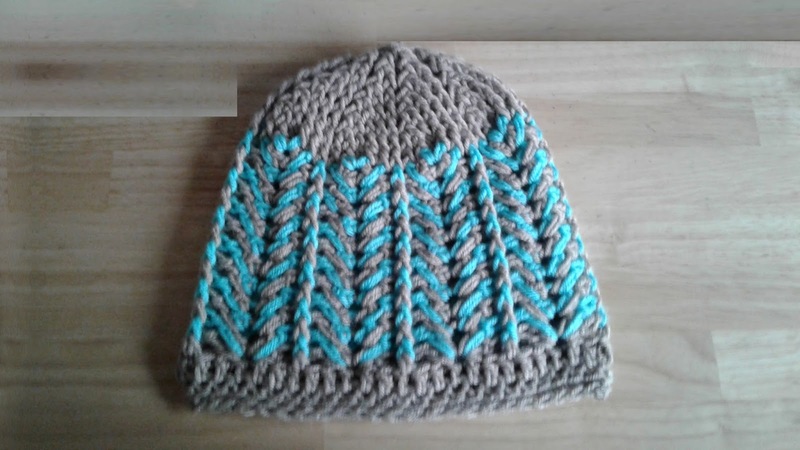 Once the first few rows are completed, the hat pattern repeats it's self through out, making it an easy pattern to make once you get going. 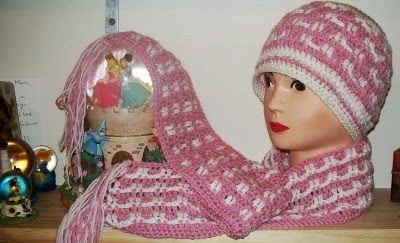 Herringbone meaning: a pattern consisting of columns of short parallel lines, with all the lines in one column sloping one way and all the lines in the next column sloping the other way so as to resemble the bones in a fish, for example as used in the weave of cloth. 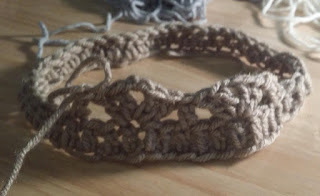 See bottom of post for a you tube video of the herringbone stitch. Size, small to med. 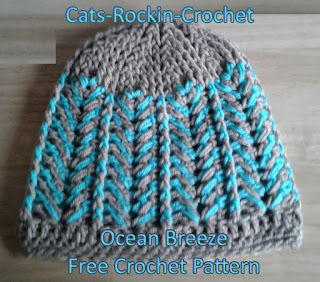 The pattern is a 6 stitch repeat, to make a large hat, add a count of 6 ch for a total of 54 chain and adjust round count as needed. Notes: the beginning ch 2 of each round is not counted as a st.
Notes: Try on your work, if it is too small repeat the above steps with a larger hook. 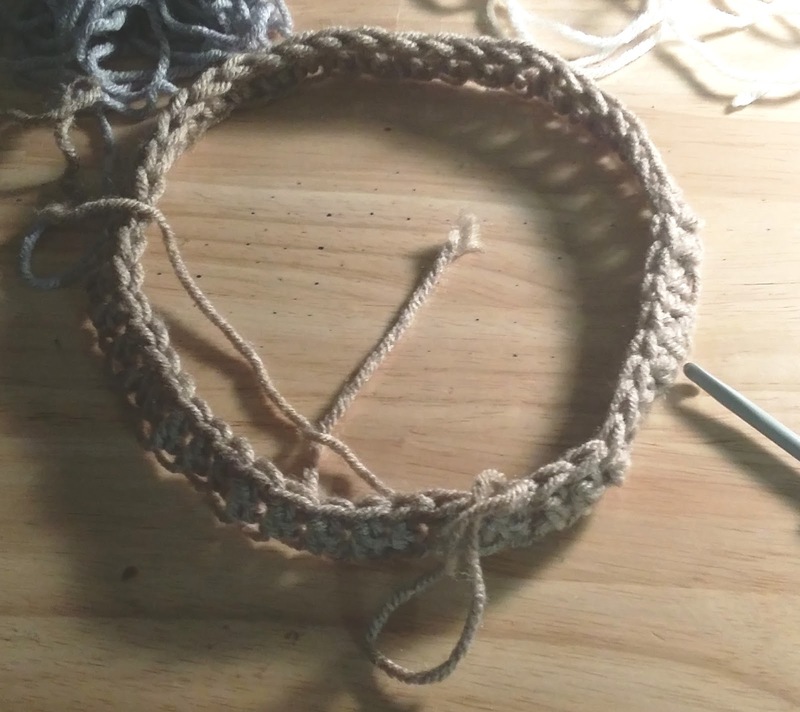 This 1st round may also be a little loose, this is fine as we correct the tension later on in the pattern in the final steps. 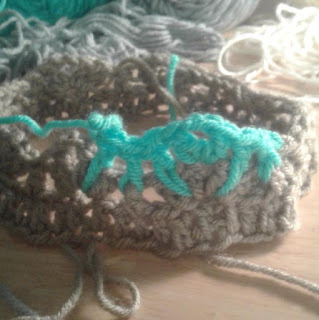 Join in contrasting color and work with contrasting on every odd row/every alternate row. Round 7. 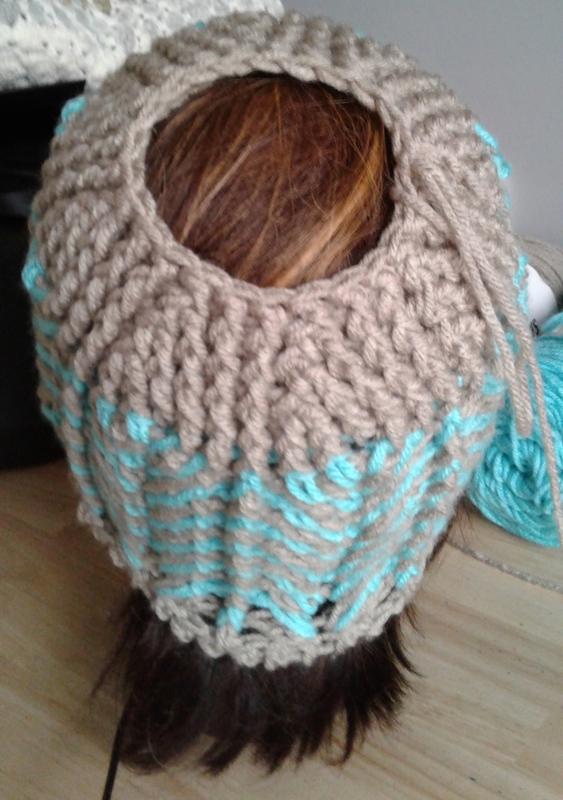 Ch 2, *work 1 fpdc around the next 2 st's together (dec made),* repeat from *to* to end of round, sl st to top of beginning fpdc to join round (8 st's), break off yarn leaving a long tail to sew remaining 8 st's closed. 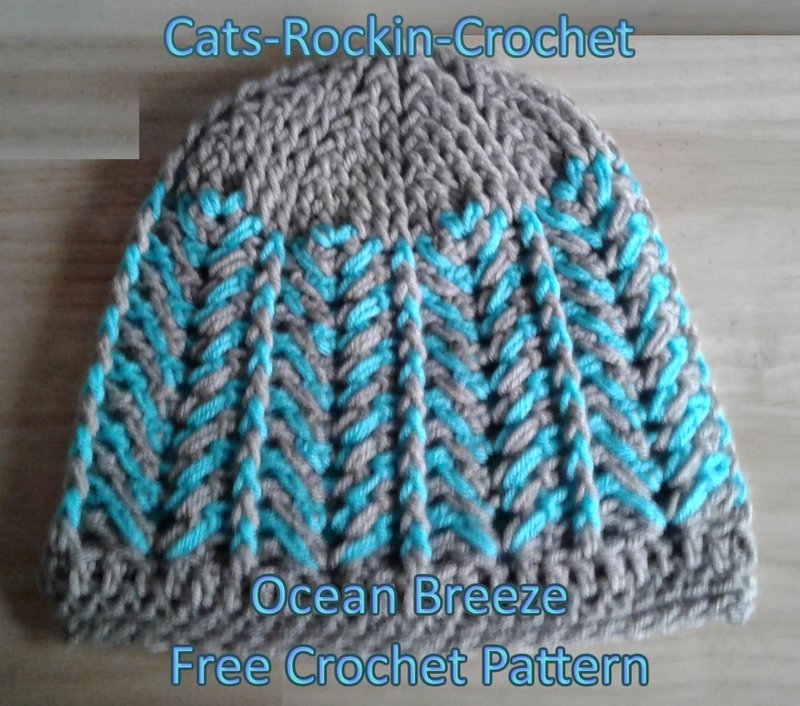 Hat edge: please read both options, this will tighten your hat edge slightly and make it neater. 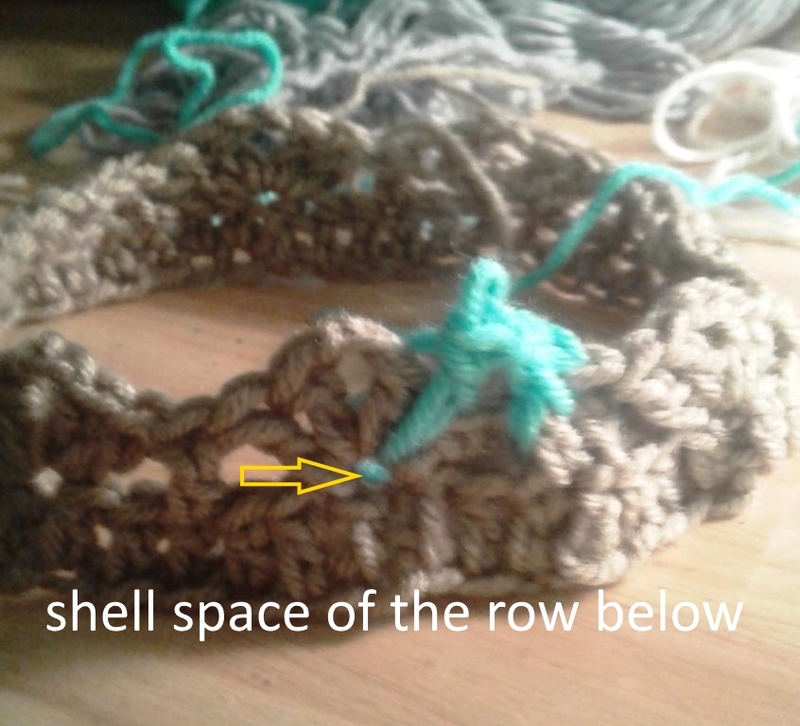 Round 2. ch 1, work 1 sc into the back loop only of each sc of the round, sl st to 1st stitch to join round (48 sc). finish off and sew in ends. 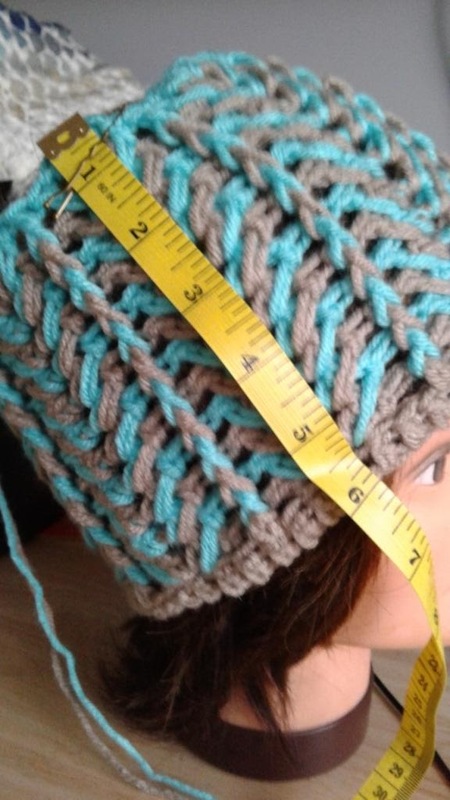 Version 2. will give the hat more length. Repeat the above instructions with the hdc stitch instead of the sc stitch. 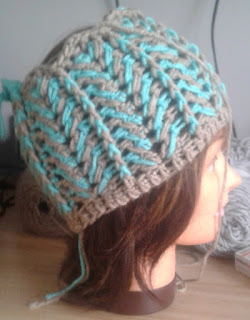 Link to the Herringbone stitch on you tube.